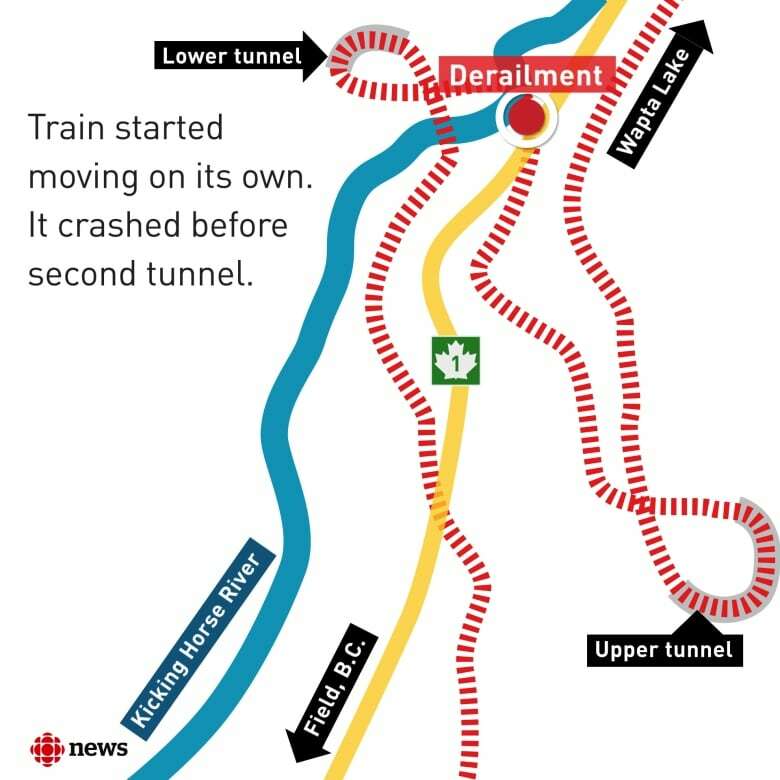 Transport Canada has ordered new safety measures following Monday's fatal Canadian Pacific derailment near Field, B.C. Trains must now apply handbrakes during emergency stops on all grades over 1.8 per cent, according to an order issued Friday afternoon from Transport Minister Marc Garneau. "As a precaution until such time that the exact cause of the accident is determined, my department [is] … mandating the use of handbrakes," Garneau said. "This order takes effect immediately and will remain in effect as long as necessary." Transport Canada's investigation is ongoing. As well as determining the cause of the derailment, it will check for compliance with the Canada Labour Code and the Railway Safety Act. Three crew members were killed when the runaway train derailed and plunged into the Kicking Horse River on Monday. 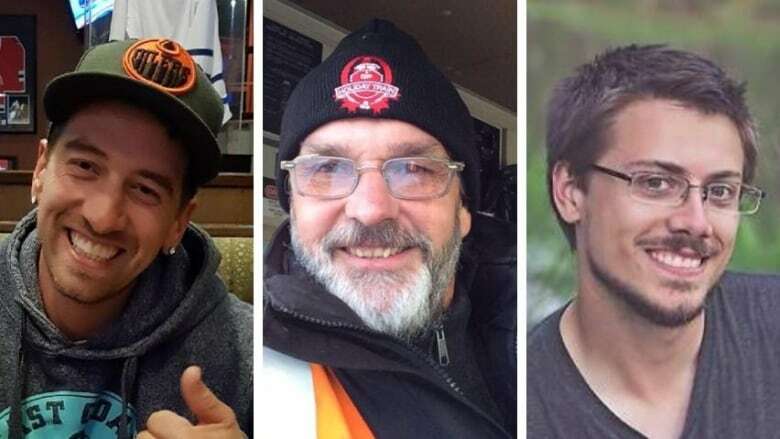 Trainee Daniel Waldenberger-Bulmer, engineer Andrew Dockrell, and conductor Dylan Paradis were killed. "As I have said many times before, rail safety is my top priority and I will never hesitate to take appropriate actions when necessary," Garneau said. He has appointed a special official to keep him updated on the investigation. The new precaution may be even more crucial in cold weather, which can affect a train's air brake system. Cold weather speeds up the rate of air leakage, according to a report titled White Paper: Railroading in the Canadian Winter on Canadian Pacific Railway's website. 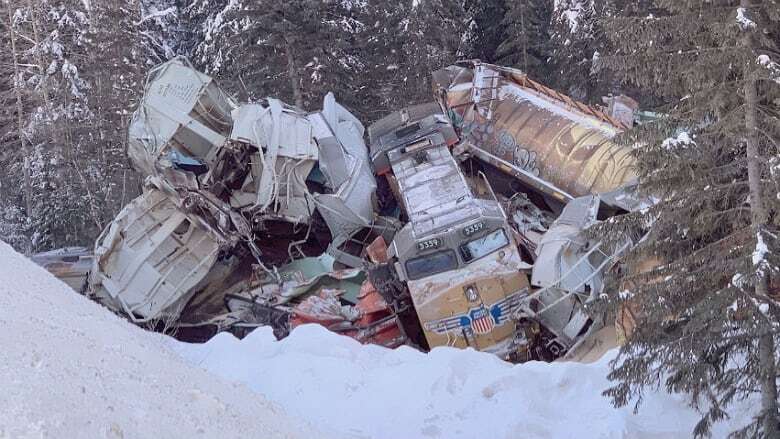 The report says speed should also be reduced in frigid temperatures — by at least 16 km/h below –25 C and by at least 32 km/h at –35 C.
The train went off the track at Mile 130.6 of the Laggan Subdivision, between the Upper and the Lower Spiral Tunnel, at about 1 a.m. The temperature was around –20 C.
The Transportation Safety Board said the train gained speed well in excess of the 32 km/h maximum for the tight curves on the route. The TSB is the lead federal agency responsible for investigating rail accidents. The Spiral Tunnels, built in 1909 to reduce track grade, are still one of the steepest sections of track in North America with a grade of 2.2 per cent. "Transport Canada's order on the use of handbrakes is a clear demonstration of their commitment to rail safety," said Don Ashley, national legislative director of the Teamsters Canada Rail Conference. "We can't be taking any chances until the exact causes of this tragic derailment are determined. 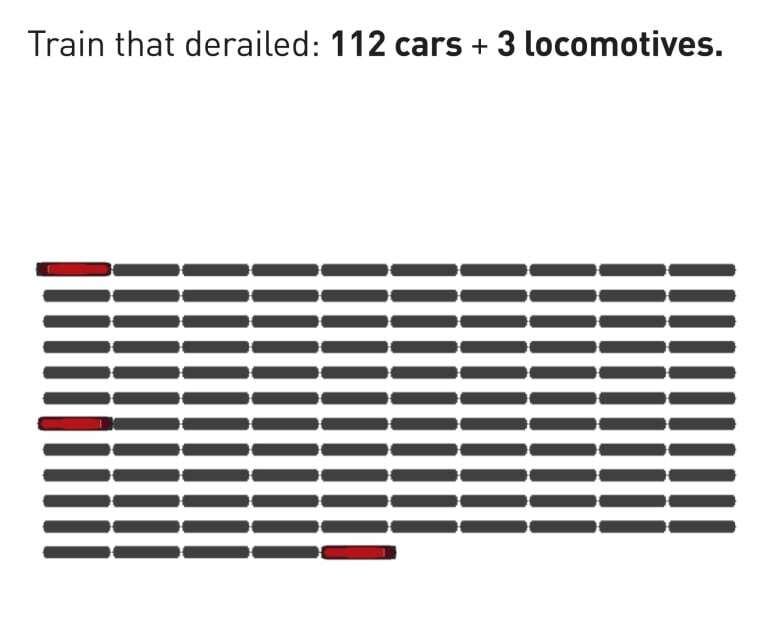 You can't put a price tag on rail safety — it's a matter of life and death." Dockrell, Paradis and Waldenberger-Bulmer were all members of TCRC. They had just boarded the train, which was parked with its emergency brakes activated for two hours above the steep descent to the spiral tunnels. They were preparing to take over when it started moving on its own. CP reopened its line through Field, B.C. on Wednesday. "The CP team has been in close contact with the families and is providing both immediate and long-term support to them during this difficult time," said Keith Creel, CP president and CEO in a statement late Friday.